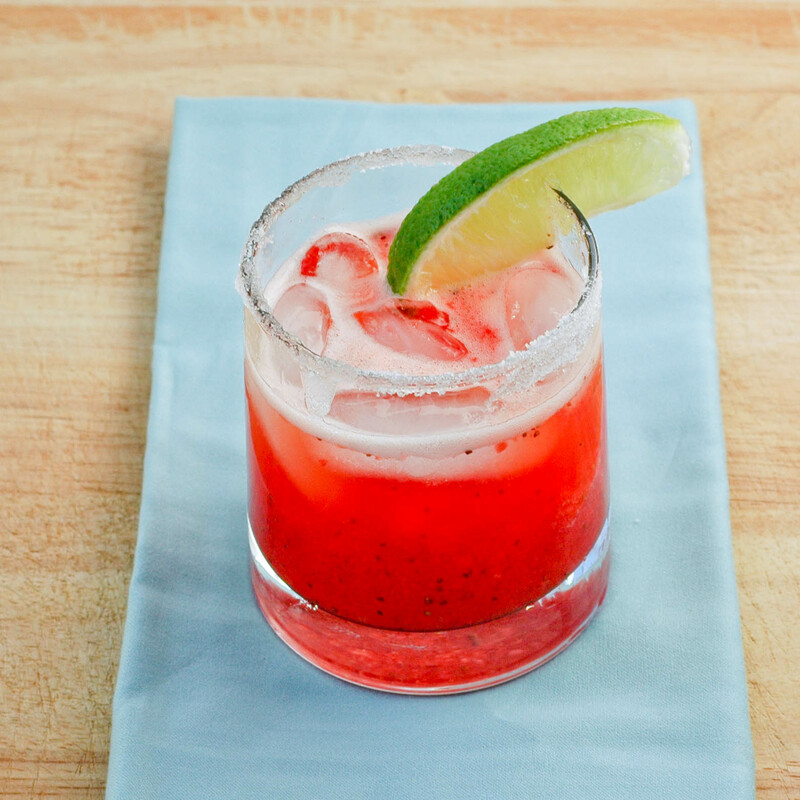 Amor Prohibido is basically a strawberry margarita but with a cool name. It’s a thick red cocktail featuring seasonal strawberries two different ways—infused in tequila and as a puree. The Amor Prohibido is made in a way where the alcohol is not the star of the drink, but an accent. The strawberry also adds a beautiful color, which makes it a visual treat as well. If you can’t find Miel de Agave (traditionally made agave nectar), just use a strong simple syrup or corn syrup. Items that are labeled “agave” syrup are nothing more than high fructose corn syrup with a latin sounding name. Place sliced strawberries and tequila in a Mason jar, or a container that can be sealed tightly. Allow it to sit overnight or for at least three hours. mix equal parts of salt and Arbor pepper for rib garnish, top with lime wedge.